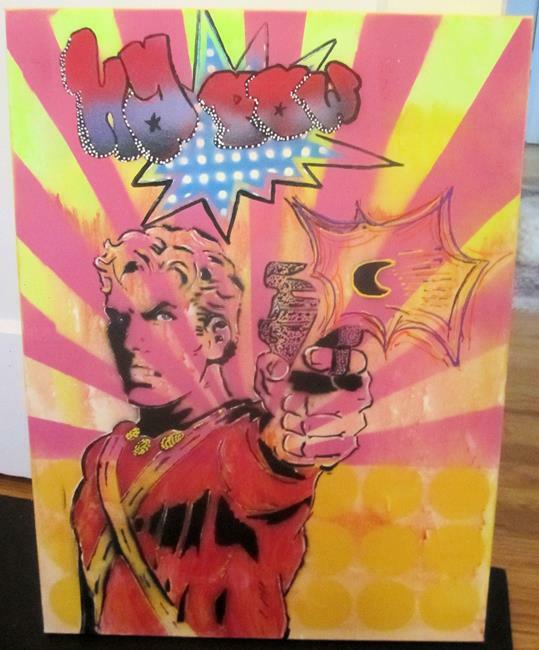 Flash Gordon Original Pop Art Graffiti Art, KaPow 18"x 24"
Flash Gordon "Ka Pow" on extra Thick Professional canvas. Graffiti Pop Art. Get ready for a fun and fabulous pop of color on your wall, by EBSQ Artist of the month Paul Lake and member of the Maryland State Arts Council.